Nowadays, people are more adventurous about what are they consumed. In contrary to that, there are also emerging numbers of people who are more conscious about nutrition goes into their body. Those two seem incompatible, but there are actually kinds of food and beverage that could qualify both notions. One of them is floral tea. Floral tea is maybe not very familiar for us since we are already comforted by our usual tea-bag. Although they are nothing new, they seem untouched for most of us. It may seem strange and you worry that you will not like it. However, floral tea is delicious, healthy, and has wonderful fragrance. It can keep you energized or even soothes you depends on the flower tea you choose. Many restaurants, especially in area with people who are conscious about their health like in Bali, serve floral tea in their restaurant. To brew it, pour in boiling water to the glass and soak the dried flower for 5-7 minutes. Stands out for its unique colour and delicious taste, this tea is made from dried dark red hibiscus flower. That explains where the pretty crimson colour is derived. Hibiscus tea tastes quite sour, almost like red berries. It contains high amount of organic acid, vitamin C, and minerals. It is almost refreshing when sipped plain straight after brewing. However, some people cannot stand its acidity and prefer to add sugar in it. This tea is served cold and heavily sweetened in Thailand, becomes a very popular beverage. However, it is believed to reduce cholesterol when served in a form of herbal tea. Carnation herbal tea is made by dehydrating fresh carnation flower until it dry. Carnation flower itself is popular for its decorative function as it has many beautiful colours. It is a native flower of Mediterranean, but now it grows everywhere as long as it is exposed to sun and have neutral soil. Carnation as herbal tea has many benefits for your body. It is long believed to treat stress, fatigue, and depression. It is also good for women because it has anti inflammation and swelling agent as well as reduces dysmenorrhea. More point for its effectiveness on treating skin rashes. Maybe rose is the most versatile decorating flower. Not only pretty, the fragrance is found in many products such as perfume, oil, even food and beverage. One of the sought-after uses is in herbal tea form. Rose has many benefits. It can reduce menstrual cramp. Rose tea is also rich in polyphenols that helps to prevent cardiovascular diseases. Not only that, high amount of vitamin C found in this cup of tea is also good for your hair and skin. 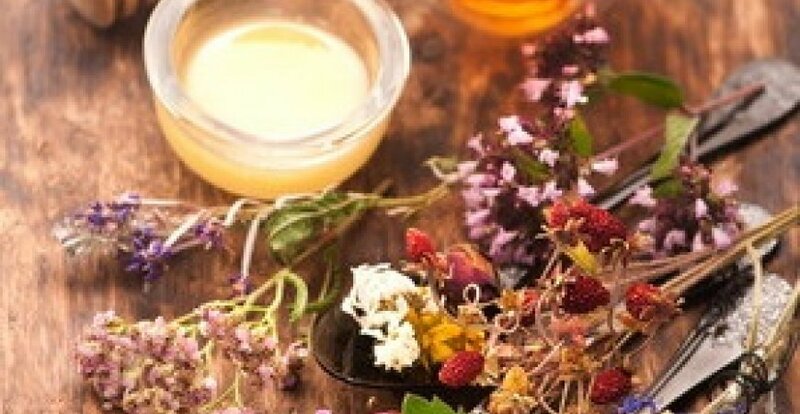 No wonder it is called “lady’s tea” for its remarkable benefits for women. Chrysanthemum is native flower to Asia. The color is varied from red, pink, white, to yellow. It is long used in China to make herbal tea, especially the white and yellow ones. Due to its popularity, this tea is not only available in restaurant or market in dried form. The sweetened version of this tea is also sold commercially in packed form. This tea is used to prevent diseases associated with body heat for the main use is to cool down our body. It can reduce fever, sore throat, and influenza. It can also reduce stress and treat eye diseases.